7) (Maj.) Isaac Watkins was the last child of Thomas & Sally. He was born 10 Apr 1777- died 13 Dec 1827 in Pulaski, Arkansas. Isaac & sister Polly accompanied their mother and her new husband, the Rev. Joshua Morris, from Virginia to Kentucky in 1788. We tend to think that, because of this, Isaac and Polly lost contact with their older siblings, but that is not the case. 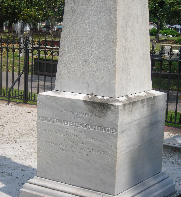 In 1800, Isaac’s uncle, Hon./Judge George Walton (signer of the Declaration of Independence) gave approval as a "Commissioner of the State" of Georgia to Isaac Watkins and Colonel Whitley to construct a road, to be built through the "Cherokee country to the highest navigation of the Savannah River." Isaac was in the militia, and is listed on the muster rolls as having served in the War of 1812. He married first Paulina Thurston (11 Jun 1780-27 Nov 1805 KY) in Kentucky, the daughter of Plummer Thurston and Mary Talbot of Virginia. They had one child, Robert Anderson Watkins, born 10 May 1804. After Paulina’s death, Isaac married second Marie (or Maria) Toncre, of Kentucky, a lady of Huguenot ancestry. The marriage was probably in Shelby Co., KY. Isaac and Maria had four children. “In 1827 Isaac saw man who had stolen hogs from his farm and accused him in public. Later sitting in local store reading a paper, the man appeared and shot him and Isaac died shortly after. " There is a lovely account of Maria Toncrey in "Pioneers and Makers of Arkansas", who, after Isaac’s death, married Rev. Stevenson: "Mrs. Stevenson was born in Williamsport, Maryland, in 1793, and when quite young moved with her parents to Kentucky where she married Major Isaac Watkins, of Shelby County, with whom she and her infant son, the late Judge George C. Watkins, and her niece, Mrs. Woodruff, the wife of the venerable William E. Woodruff, resided. In 1820, she removed to Little Rock where she had always since lived." After the death of Major Watkins, his wife remarried, her husband being Reverend W. W. Stevenson, a pioneer Methodist preacher at Little Rock, but who afterwards joined the Christian church, becoming a noted minister therein. Mrs. Stevenson died at the residence of her son-in-law, Judge Clendennin, on the 21st of March, 1874, in the eighty-first year of her age, having lived in Little Rock continuously for fifty-four years, a longer continuous residence than any other citizen before her time, and, in all probability, since her time. Her husband died in California in his eighty-ninth year. 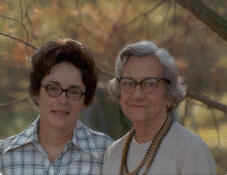 Mrs. Stevenson was one of the best women who ever lived in Little Rock. She was first last and all the time a Christian, and her home was at all times a home of missions and for all the ministers of all denominations. When the Scientist, Featherstonaugh, was in Little Rock in 1838, he found no place of public lodgment at all suitable for a gentleman. Mrs. Stevenson, hearing of his dilemma, threw open her house to him, where for several months he prosecuted his studies, leaving a high testimonial to the admirable good character and magnificent womanhood of Mrs. Stevenson. Such is a brief record of the antecedents of Chief Justice George Watkins, possibly the ablest man that Arkansas has produced.” Isaac and Maria are both buried at Mount Holly Cemetery, Pulaski Co, AR. Dr. Thomas A. Watkins’ (1802-1884; the son of George & Mary Early Watkins of Augusta & Greene Co., GA) visited the family in Arkansas several times, and letters were often exchanged, many of them recounted in the book “Letters from Forest Place.” We recently were thrilled to read a letter from Madame Octavia Walton LeVert to her cousin Dr. Claiborne Watkins in Arkansas, written April 24, 1875. This letter was shared most graciously by a descendant of Dr. T.A’s. Octavia was on a “reading” tour, and the letter was written on stationary from the Southern Hotel, St. Louis, MO, asking her relative about likely accommodations in Little Rock if she were to schedule an engagement there. After the War and her husband’s death, Octavia lived in Augusta, GA, and states quite plainly in the letter that she is obliged to earn her living this way. We believe she did so very well! I would love to hear from any descendants of Isaac Watkins! Mary Elizabeth Martha Watkins, and her brothers. Thomas Watkins (bet 1787-1788 - died Mar 1823/1824 Augusta, GA) and Elizabeth Henry Arrington (1793- died about 1817 Augusta, GA) were the parents of four children. Thomas was the son of Col. Robert Watkins and Elizabeth Martha Walton. Elizabeth the daughter of Mary S. Robison & Henry Arinton. These four children were left orphans by the early deaths of their parents. An educated guess tells us that their father, at least, probably died of consumption (as did his parents). As early as 1820, we have determined that they are the four children living with their grandmother, Mary S. Robison Bugg-Arrington-Hatcher, thrice widowed daughter of George Heyward Robison & Elizabeth Ann Stewart. Thomas lived nearby, but they didn’t live with him. Mary raised her grandchildren, and they were all four mentioned in her will of 1829 (she died 2 Aug 1833). Martha married Charles DeLaigle on 21 Jan 1829 at the First Presbyterian Church in Augusta, GA . Charles was the only son of French emigre Nicolas de l’Aigle and his wife, Marguerite. Nicolas built quite a fortune, and started the first brick making factory in the South, leaving this to his only son when he died in 1853. The War would change the fortunes of the family, as it did so many others. Martha Watkins DeLaigle bore her husband 15 children, from 1830 to 1852, dying with the birth of the last on December 22, 1852. Only five of these children would live to adulthood to marry and have children, but they left numerous descendants! Martha is buried in the DeLaigle plot, Magnolia Cemetery, Augusta, GA. You can read more about them on the DeLaigle page. Robert Arinton Watkins was born ca 1812, died 1865 (buried 8 Dec 1865 in Magnolia Cemetery) Augusta, GA. He married Harriet T. Hall on 5 Mar 1834, Augusta, GA. I can’t find the burial record for Harriet. 1850: In the Census for that year, Robert stated he was a clerk, and it gives us the names of his children. I believe Robert moved to South Carolina by the start of the War. Robert A. Watkins was with the army at the surrender in 1865; South Carolina 19th Infantry Regiment, Company C -C.S.A. Robert and Harriet had four children: 1) Benjamin H., 2) Charles D., 3) Henry A., and 4) Robert F. Watkins. Of Robert and Harriet’s children, the only one I know anything about was Charles DeLaigle Watkins who married Mary Frances Hodges. And that is thanks to Mr. Russell K. Brown, who told me an interesting story about Charles! "Charles D. Watkins was a member of the Oglethorpe Light Infantry, a pre-war volunteer company in Augusta. They were mustered into service in March 1861, served at Pensacola briefly and then in western Virginia. They were mustered out March 1862. Watkins then joined Cobb's Legion cavalry and served in Virginia until at least 1864, no records available later than Oct. 1864 but there might be a pension record. Before the war he was a clerk for Kauffer, Baum & Co., dry goods, at 175 Broad St. in Augusta. After the war he was clerk and salesman. Watkins; Francis M. "Frank" Hight; and Joshua J. Doughty were accused of shooting and stabbing Capt. Alexander W. Heasley, a Union army officer, to death in a private house in Augusta on Aug. 30, 1865. Heasley identified them as his assailants before he died. They were tried by a military commission, the civil courts not yet functioning. The commission found Hight guilty and Doughty and Watkins not guilty. Hight was sentenced to hang. The commanding general commuted Hight's sentence to 15 years; he said the evidence supported a finding of guilty for Doughty but he let him go. Watkins was exonerated. The three accused had served together in the Oglethorpes. Doughty later headed his own cotton brokerage and died in 1914. I don't know about the other two. I am hopeful of hearing of any descendants of Robert Arinton Watkins! I am hopeful of hearing of any descendants of Isaac Thomas Watkins! Valentine Walker Watkins was born ca 1815/1820. He was named for his uncle. Gen. Valentine Walker of Augusta, Ga, who had been married to his aunt, Mary Arinton. (Mary died young, leaving no children; Gen. Val Walker remarried to Zemula Creswell.) In the 1840 Census, V.W. Watkins is living in Richmond County, GA, with a female, same age range, but I can find no record of a marriage. V.W. Watkins was a private with the Richmond Blues, of Augusta, GA, Richmond Blues left Augusta for Mexican War on June 3, 1846. Captain was D.W. Dill; 1st. Lt. was J. Phinizy. They went from Augusta to Madison, GA, which was at that time the western terminus of the Georgia Railroad, and from there they walked to Mobile, AL, where they took a boat to Vera Cruz. I am hopeful of hearing of any descendants of Valentine Walker Watkins!